In an attempt to keep mysensors/Raspberry repository in sync with mysensors/Arduino, I started a while ago working on a solution but only recently had time to finish. I'm trying to catch up with new changes into the development branch and thinking of a way to port this into it. Keeping the RPI specific files within libraries/MySensors/core and libraries/MySensors/drivers would be my first choice... Pinging @Oitzu here also as he talked about helping as well. I was also thinking back and forth whats the best way to accomplish this. In the end i think the better way is to do it like TMRh20/RF24 do it, because it also fits better in the current mysensors git structure. The RPi specific files would be withing these dirs, in examples_RPi would only be the example code for the serial-gateway, or other examples for the library. So this would be much like the arduino "examples" dir. @marceloaqno I have been looking into your work to get the RaspberryPi up to date with the latest MySensors code. You have examples for Regular Gateway, Serial and Ethernet. Are you considering creating another for MQTT? I might start looking into this, just wanted to see if you had anything planned. I think it would be best to have a Raspberry PI acting as a gateway as well as an OpenHab/MQTT server. @marceloaqno Ha, Cool. Happy to hear you are looking at MQTT. I will keep a watch on your repository and will try experimenting with using mongoose as well. @aaron832 I'm very close to reaching a working version for the 2.0, will release something in the coming days. @marceloaqno This is good news because I was about to give up trying to do the port. Hopefully some of my stuff was of some use. I haven't extensively test it, so there are probably some bugs. Any suggestions or ideas for improvement are welcome. Thanks a bunch @marceloaqno for you update to 2.0. Some initial testing shows its working fine. I went ahead and just re-implemented my MQTT addition on top of this branch. Its significantly cleaner and just sits alongside your ethernet implementation. This way you can still connect with a controller via ethernet while getting the benefit of MQTT as well if desired. Perhaps we should start another topic with a better name so that more people become aware of this port? Yes, might be a good idea. Any plans for RFM69h(w) support?? @lafleur Do you recommend any RFM69h library that works well in Pi? I could try to add support if there is any. Just an update, I've been using this port on my raspberry pi during the last months and it has been quite stable, the code is also up to date with the mysensors development branch. I just started testing but I had to revert to 7d51087e589afb1296e71442fe2164807da399ef to have it working. Also, do you have an updated initscript to launch it automatically at boot? It seems the one from the old PiGateway is not working very well with this one. For now I just added a cronjob. @emc2 Could you give more information about your setup? I wasn't able to reproduce the error. For the initscript, I will try to add an updated version for systemd. So I did a few tests, one of my setup is working on the last commit, the other not. Both are model B. My bet is that my "non-working" Pi, wich is also my guinea pig Pi, is missing a dependency or something. Let me know if I can get you some logs to troubleshoot, but it may be very specific to this setup so may not be worthwhile investigation unless a common factor start to emerge. Anyways, thanks for the port! ./configure --my-gateway=mqtt --my-rf24-channel=1 --my-rf24-pa-level=RF24_PA_MAX --my-controller-ip-address=127,0,0,1 --my-mqtt-client-id=MyGW2 --my-mqtt-publish-topic-prefix="MyGW2out" --my-mqtt-subscribe-topic-prefix="MyGW2in"
@b0rmann It should work now. Thank you for reporting this. Do I get it right that this is a RPi gateway with directly connected RF24L01+ tranceiver with support for both ethernet and MQTT? If so, is there a guide somewhere on how to set this all up? @ericvdb That's right. I hope to add support for RFM69, Serial and software signing very soon. For other options, you may have to edit the sample file example_linux/mysGateway.cpp, and uncoment what you need. @marceloaqno thanks, will try this asap. What about the status leds, is that supported? @ericvdb sorry, no support for status led. Aug 22 08:52:47 pi systemd: Started MySensors Gateway daemon. Aug 22 08:52:47 pi mysGateway: Config file /tmp/MySensorGateway.cfg is not the correct size of 1024. Please remove the file and a new one will be created. Aug 22 08:52:47 pi systemd: Unit mysgateway.service entered failed state. @b0rmann Fixed a bug with the config file. Please remove your MySensorGateway.cfg and let the gateway re-create it. For the routing problem, do you have the output from the nodes that are communicating with the gateway? I'm trying to get this to work, and it looked good. But after a day of running my Pi3 with Domoticz stopped answering to anything. Couldn't even connect with SSH. So now I need to start to troubleshoot. But I wonder if mysGateway produces a log somewhere? And where can I find the MySensorGateway.cfg? It is not in /tmp. After restart of the Pi3 I always get a error from Domoticz about not being able to send the command, although it does get through anyway. Don't know if mysGateway is the problem, but I need to gather all the logs I can find to figure it out. @raptorjr MySensorGateway.cfg was renamed to mysensors.dat in the last version. The default directory that the gateway keeps the file is /etc. The file is used mostly to keep the nodes routes, so you won't find anything useful there. Which linux distro/version you're using in your RPi? I'm using a SD card image I found at the Domoticz site, preinstalled with Domoticz. The problem could be with Domoticz also, but since I thought that mysGateway is still kind of beta I would start to look for the problem there. So it seems that something maybe happened with the mysController. Maybe not died, but stopped answering and locking the whole Pi? Or if that error refers to some internal Domoticz gateway thread. Would it be possible to enable both the Serial and Ethernet communication at the same time in the gateway? I'm about to try PiDome as a controller. And it seems that it only have support for Serial gateway. But the Ethernet gateway is so practical to use when I need to debug and use MYScontroller to connect and see what is happening. Or if I would like to try OTA updates of my nodes. @raptorjr some people have used nodered to "split" the communication to more than one controller. NodeRed has the ability to prevent certain types of messages. If two controllers are connected to the same gateway without filtering, both controllers will respond which might be very confusing for the node. But anyway, I thought that mysGateway would create something like /dev/ttyMySensorsGateway that I could then use, or ln to something like ttyUSB20, and add it in PiDome. But after compiling and installing mysGateway with serial support I only get a a error "Unable to open the serial port /dev/ttyUSB0". Am I thinking the wrong way? Isn't mysGateway supposed to work like the old Raspberry MySensors gateway? @raptorjr Sorry, pseudo tty isn't supported. I will try to add it till the end of the day. What does the serial gateway do then? Can I use it as it is today with PiDomo and a RasberryPi? Or do I need to make a dedicated stand-alone serial gateway with a Arduino and a NRF? In the current state, serial gateway on RPi can only use a "real" serial port like /dev/ttyAMA0 (gpio pins) or (if an arduino is connected or a USB->Serial adapter) /dev/ttyACM0. To use PiDomo you will need to put an Arduino to the mix. Thank you. I'll have to wait for pseudo tty or for PiDome to get support for Ethernet gateway. I think PiDome also supports MQTT Gateway. Did you try that? I don't really understands what MQTT is and how to use it. But maybe I'll try that. Would like to see how PiDome works and if I like it better than Domoticz. @raptorjr PiDome should work now (https://forum.mysensors.org/topic/2389/added-support-for-local-mysensors-rpi-direct-radio-connection). You need to add --my-serial-is-pty when running ./configure or uncomment the line #define MY_IS_SERIAL_PTY in mysGateway.cpp. Trying it now and the /dev/ttyMySensorsGateway is created. Followed the guide in the link you provided. Everything goes great until the last step. I don't see the message "Gateway startup complete". So I don't know if I have any communication between PiDome and the gateway? I'll start reading forums and see if I can find a solution. Or if I missed something. @marceloaqno I've got the MysGateway configured and built to be an MQTT Gateway. I have a node (MySensors v2.01) sending temperature, humidity and voltage data to the Gateway. Looking at the stdout on the Raspberry Pi I can see that the information is being correctly received but there seems to be a problem with the published messages. I'm getting "send: Broken pipe" messages. I've copied and pasted some of the MysGateway stdout terminal output below. Do you have any insights on what might be going wrong? I think there may be a memory leak in the gateway. While using it as a ethernet gateway I loose about 100Mb every day, if my only node is turned on. After a few days I can't even login with SSH and need to remove the power to my Pi3 to reboot it. If I turn off my node, memory usage is normal. So it seems to have something to to when messages is received/transmitted. Is there anything I can do to get more details where the problem could be? I'm using the image from Domoticz where everything is installed, and have only added mysGateway. @b0rmann I'll do something about it. 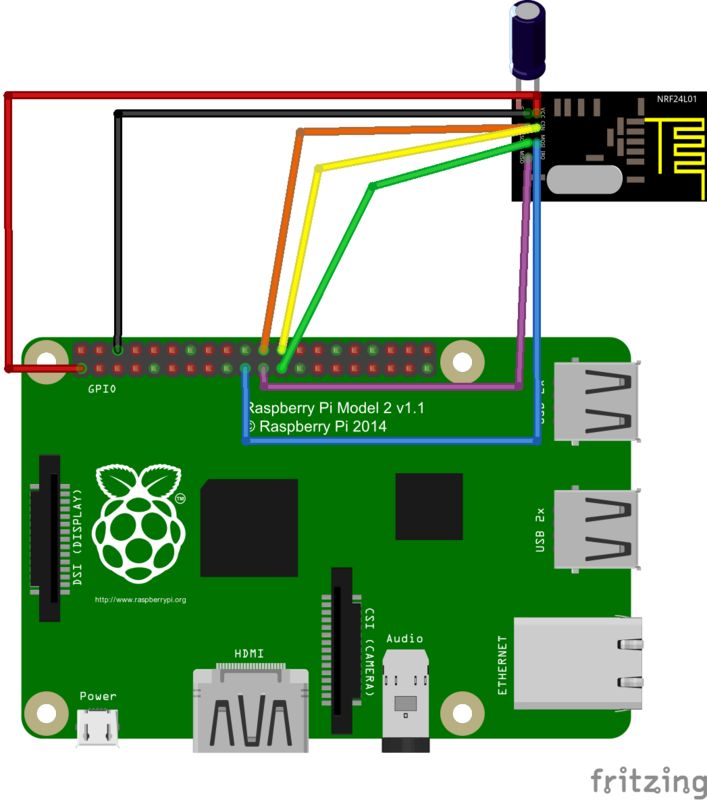 @marceloaqno Hi, could you please explain to me what the steps are to compile it for RPi3? OK, I manage to install it finally. -h            Display a short summary of all program options. Debug is now disabled by default. You can't run it as a linux daemon if debug is enabled. When daemonized all messages will be print to syslog. What does "Segmentation fault' mean please? It seems that you are not using the latest version, -h should have shown you the options list. mysGateway: Max number of ethernet clients reached. @alexsh1 There is a bug with --my-controller-ip-address, I'm not sure if it's your case, but try to avoid it. BTW @marceloaqno , what does the option --my-serial-is-pty exactly do? So far I've been running the gateway in ethernet mode for a little while and it's working flawlessly, thanks a lot for this port. MAny thanks for your port and help! Just a guess, I see on your previous post that you used --my-controller-ip-address=127,0,0,1 it may have been a typo here, but did you try with --my-controller-ip-address=127.0.0.1? (dots instead of commas in the IP)? @emc2 No, this is not a typo. This is a format. And yes, I have tried it with dots (127.0.0.1) - it did not compile. Good to know then, thanks! Works nicely with this port and RPi 3. Same, I had one Pi with GertSanders adapter and now switched to the SMD versions to fit nicely in my case. Interestingly the regular one is working better than the PA+LNA version since moved to 2.0, at least in term of sending commands. Receiving is fine. Compiling with --my-rf24-pa-level=RF24_PA_LOW helps a lot. It seems 2.0 is really more power hungry, any hope to optimize this? Which remind me of one thing, sorry to bother you again @marceloaqno (how) is the --my-rf24-irq-pin=<PIN> working? I installed wiringpi to get rid of the wiringPiISR: Can't find gpio program but I'm not sure if it's supposed to do anything in the long term. I was thinking updating the design of my PCB to link BCM 24 (pin 18) to the IRQ pin of the radio module but it's unclear to me if the IRQ will ever actually be used on the gateway. Those are cool adapters, I need to build one for me. @emc2 It's no bother at all! Using nrf24 IRQ pin can give you more throughput and less chance of losing messages. It makes more sense to use if you have many sensors or need to transfer binary data (https://forum.mysensors.org/topic/3594/solar-powered-observation-nesting-box-network/). --my-serial-is-pty will simulate a serial port and create a symbolic link to it instead of using a real one. @marceloaqno Thanks for the heads up. I'm totally happy with the ethernet version, but as it seems @hek is in the process of writing guides on https://www.mysensors.org/build/raspberry I did a few tests. --my-rf24-pa-level=RF24_PA_LOW can be omitted, especially if not using a PA+LNA module, but it seems 2.0 is really more power hungry than 1.4. If you are interested by the SMD ones, PM me your address and I will happily send you something! @marceloaqno The mechanism for assigning the pty serial port the specified group ownership doesn't appear to be working. The pty port is always created with root:root ownership. Can you (or anyone else) confirm whether this is working for you? I'm on a Raspberry Pi 2 running Raspian Jessie. Thanks. @emc2 I appreciate the offer for the adapter, but my country's post is a little complicated (to say the least). In this case it is pointing to /dev/pts/2 but can vary, and it's the one who holds the specified group ownership. @marceloaqno Up to you. I don't mind giving it a shot, if I send you the pcb alone it will fit in a regular letter and should not even have to go through customs etc. Worst case scenario it won't reach you. @marceloaqno , I assume your link for the wiring pinout behind the link is for Raspi 1 A+ with 26 pin header? Or for which version? I'd like to try this with raspi 2 B, would you have instructions how to wire it? No, looking it again, it's vice versa, so yours is for Raspi2, right? @ikkeT yes, these are the default pins. Yahooo! It works, finally. I bet my problem was Raspi1 all along. I never realized the pinouts in github were for raspi with 40 pins, b+/2/3. Thanks! @ikkeT it should also work for Raspi1, I got one running fine here. OK, then I just screwed up something. Thanks for the info, so I know I can do this also with my old raspi one day. Update: Added support for status leds (RX/TX/ERR), you can enable it in examples_linux/mysGateway.cpp file. Continuing the learning here, new questions... Thanks so far, I've now got the temp/hum/door messages sent and received from sensebender micro to raspi2. The next thing I would like to do is to send the messages as mqtt to the next box hosting some controller. How to get the mysGateway to send the stuff forward as mqtt? I tried to look into Makefile, MyConfig.h and such, but didn't quite figure out yet how to do that. Any pointers? So I'd like to have the following: sensebender -> radio -> raspi2 -> some box hosting the controller. Perhaps even outside of home, so routable traffic e.g. to OpenShift.com. Should I now somehow configure and build mysGateway to send stuff as MQTT, or pipe the traffic somehow to mqtt like mosqitto? How is this normally done if the controller server is not running on the gateway Raspi? In this case my MQTT Broker is Mosquitto and is on the same Raspberry Pi hence the use of 127,0,0,1 for the specified --my-controller-ip-address. Change that as appropriate to your intended setup. I am not sure what to do here. Looks like the gcc does not support the cortex-a7? I am trying to run this on my RPi 2 B. @wergeld I'm not sure why you are having this error, perhaps your version of gcc it's old? Did you try to update it? You can skip the installation of TMRh20/RF24, it is no longer necessary to build RPi port. I have tried to update gcc but apt-get says it is already at latest version. I am upgrading to Jessie now as it has gcc 4.9 (I was running Wheezy with gcc 4.6). Is there an updated build instruction set? I am planning on using this as a serial gateway with Domoticz on same RPi. @hawk_2050 thanks for the reminder! I recalled it was somehow configurable, but I forgot it was through . /configure options. I'll try after getting pir working also. Success! Upgraded to Jessie and build worked fine. Now to reconnect my radio to the RPi pins directly to test. This was immediately available in Domoticz under Hardware. I re-added the 2 nodes and away I went! [OK] machine detected: SoC=BCM2835, Type=RPi, CPU=armv6l, REV=000d. What do I put there? RPi pin numbers or GPIO numbers? 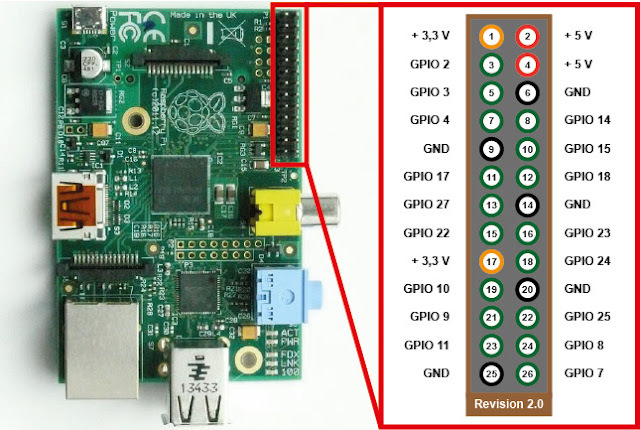 @ericvdb In any type of pin configuration for the RPi, always use the physical pin number. The RPi port was merged into mysensors official repository (thank you to everyone who helped with this process ). For future discussion, please use this this topic.